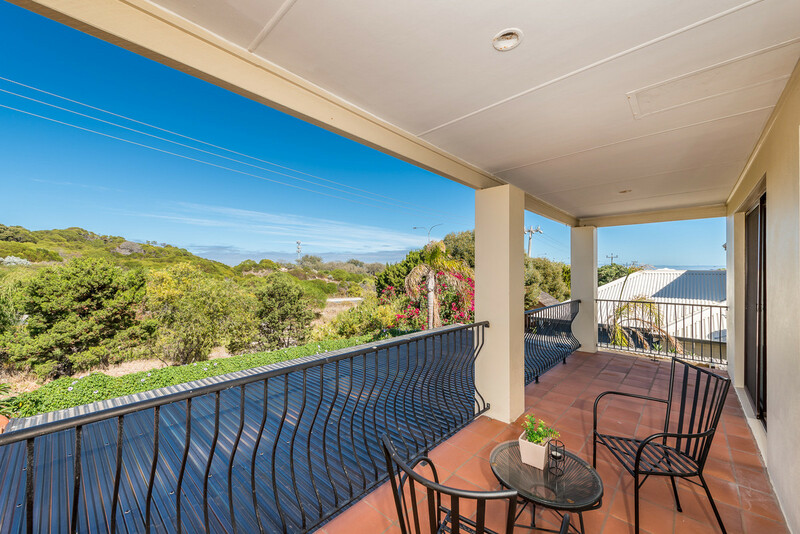 BEACH SIDE LIVING AT ITS BEST! 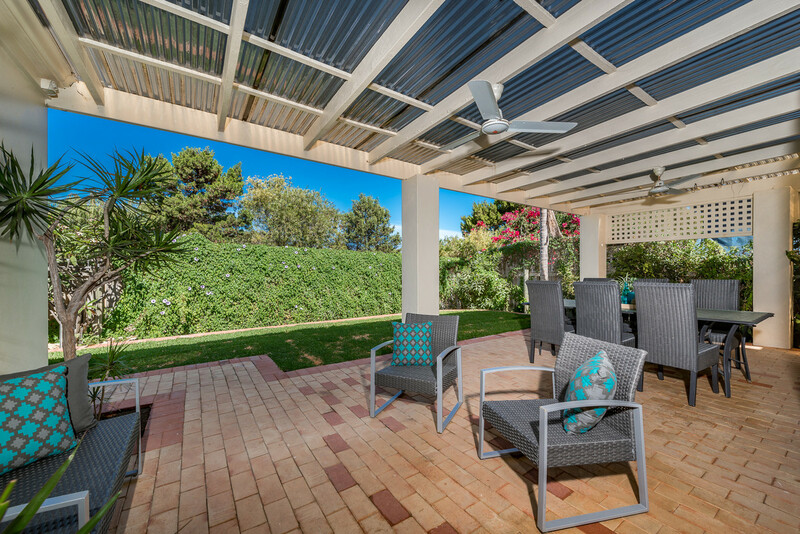 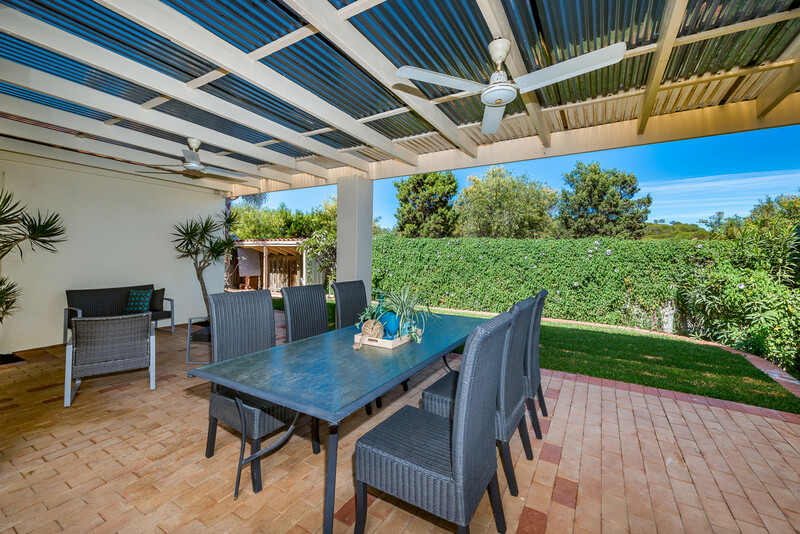 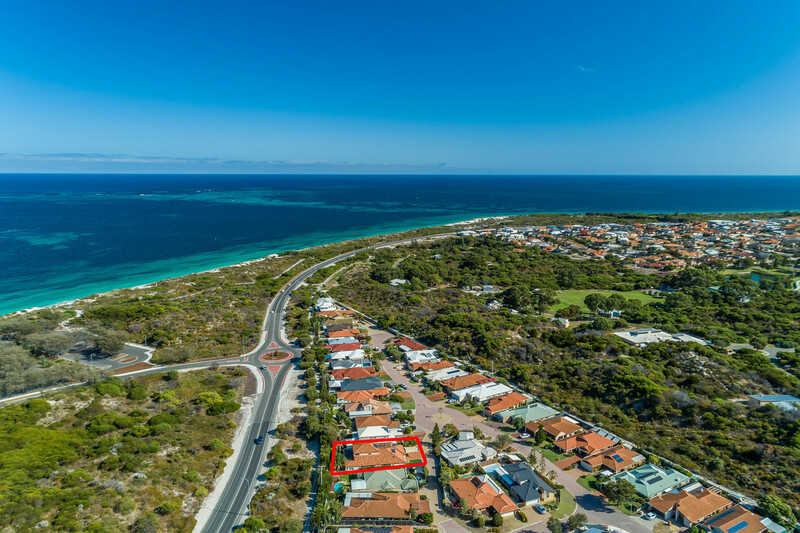 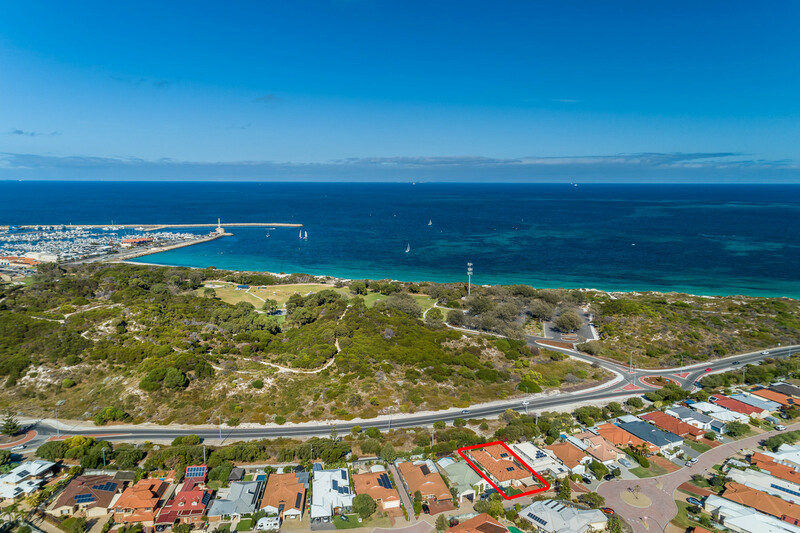 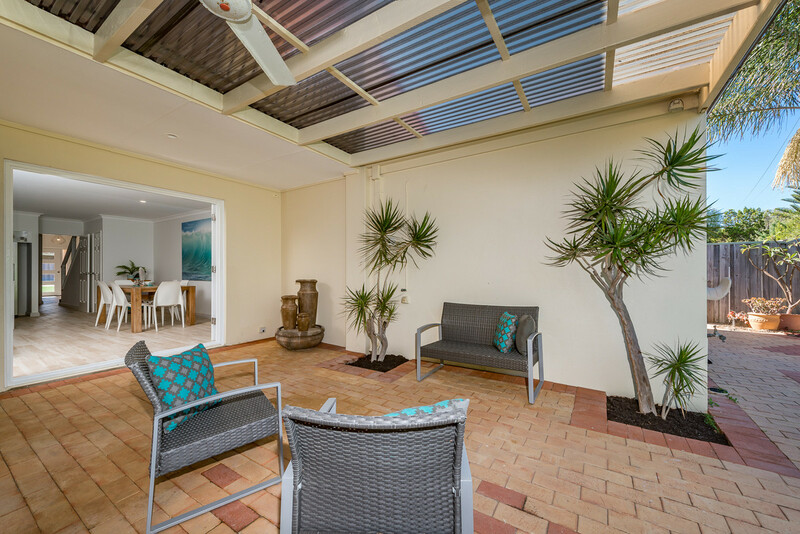 You’ll have to be quick as homes in locations like this with direct footpath access to pristine beaches, awesome lush green parklands, plus a very easy stroll to the Hillarys Boat harbour and all of its fantastic facilities including cafes and restaurants plus the Yacht Club are rarely seen at this price! 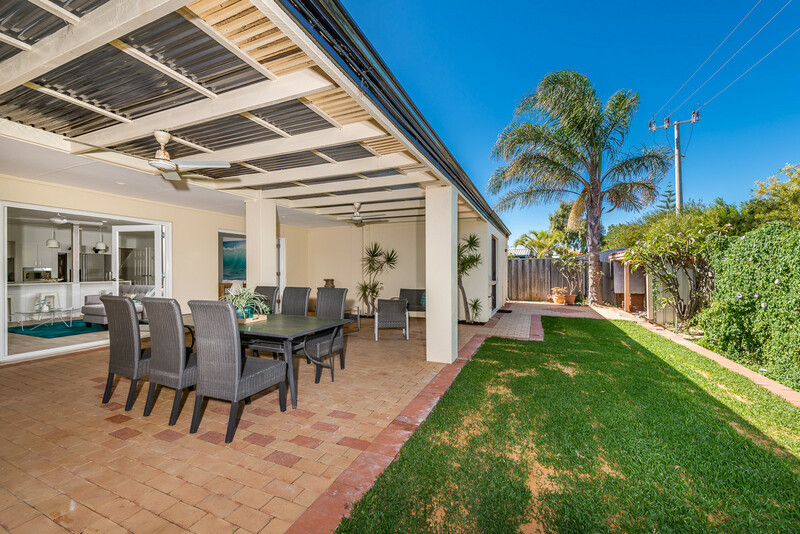 Located down a private driveway within in a whisper quiet cul-de-sac this spacious 4 bedroom, 2 bathroom, 2 car garage home in the very popular beachside suburb of Hillarys awaits you and your family. 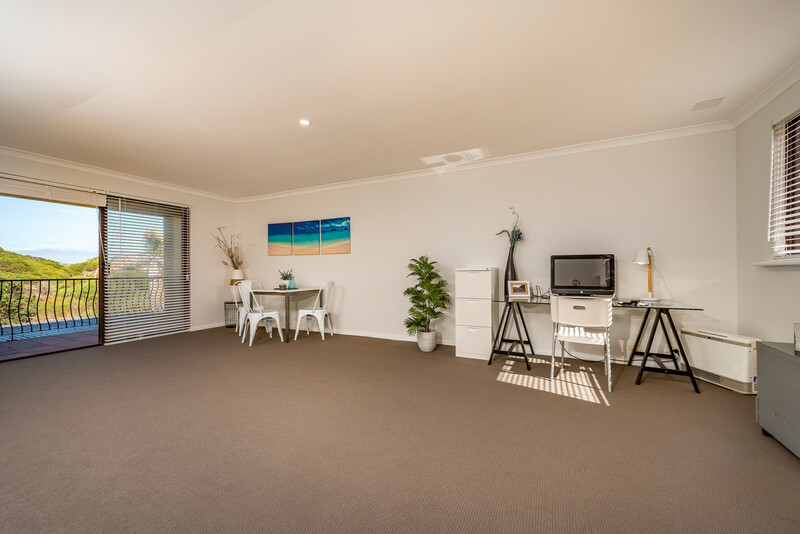 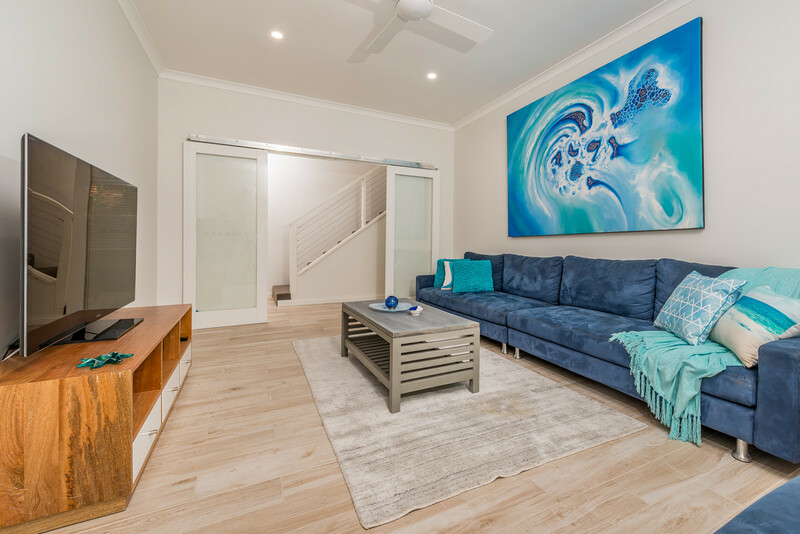 This two storey home boasts THREE living areas, stunning renovated kitchen, beautiful backyard plus fantastic views from your balcony across to the lush greenery of Whitfords Nodes Park. 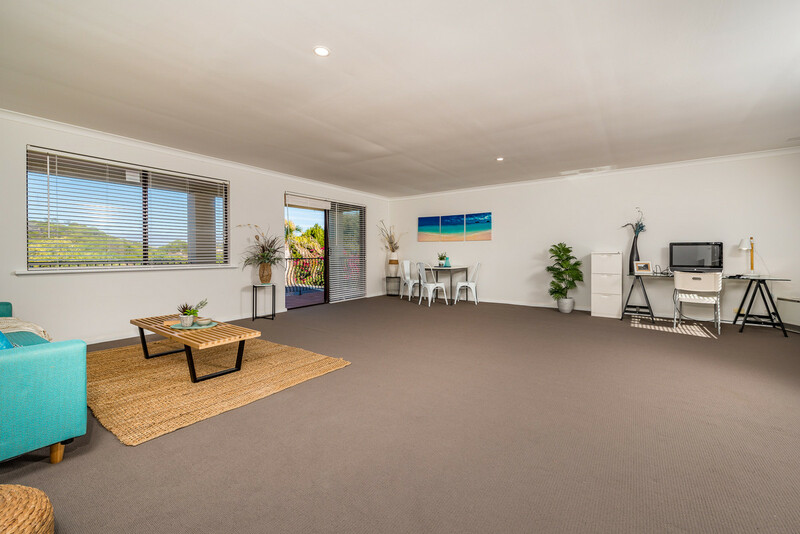 – Large front living area/home theatre with high ceilings and LED down lights. 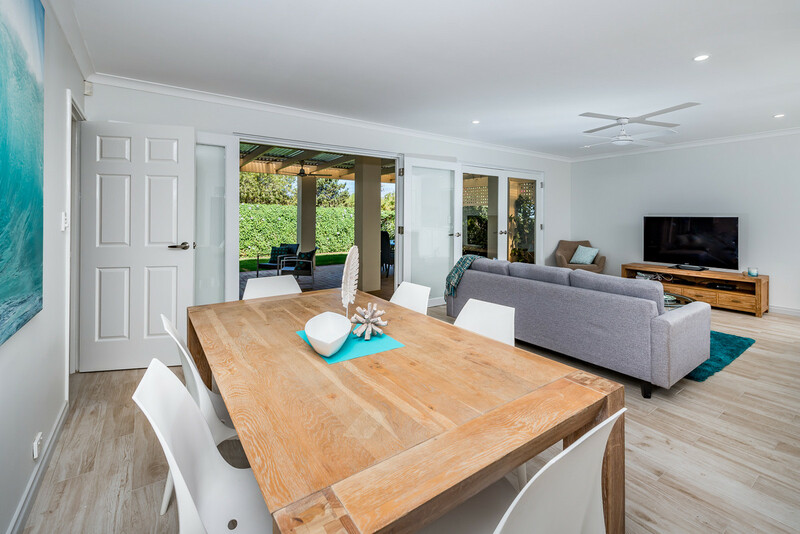 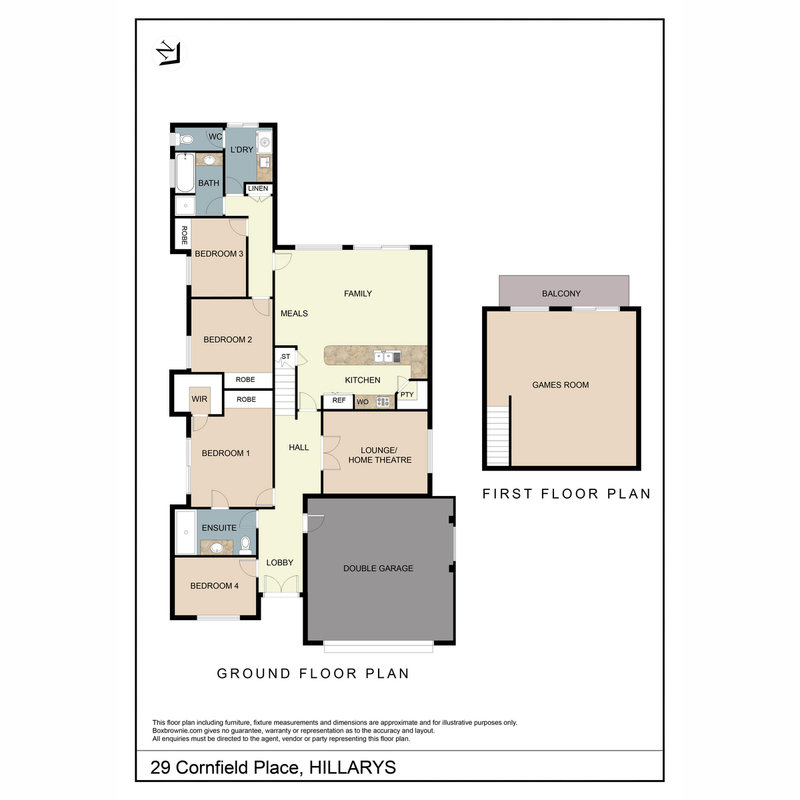 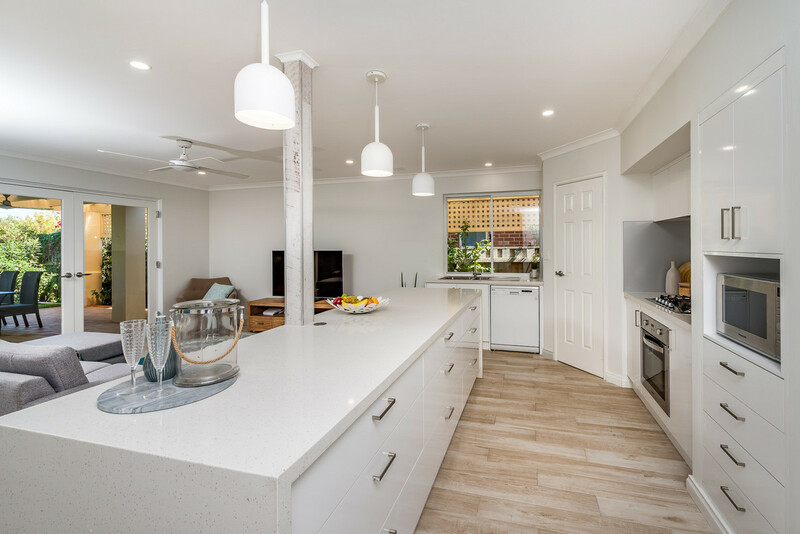 – Light and bright open plan living, meals and kitchen that has direct access via 2 double opening glass doors. 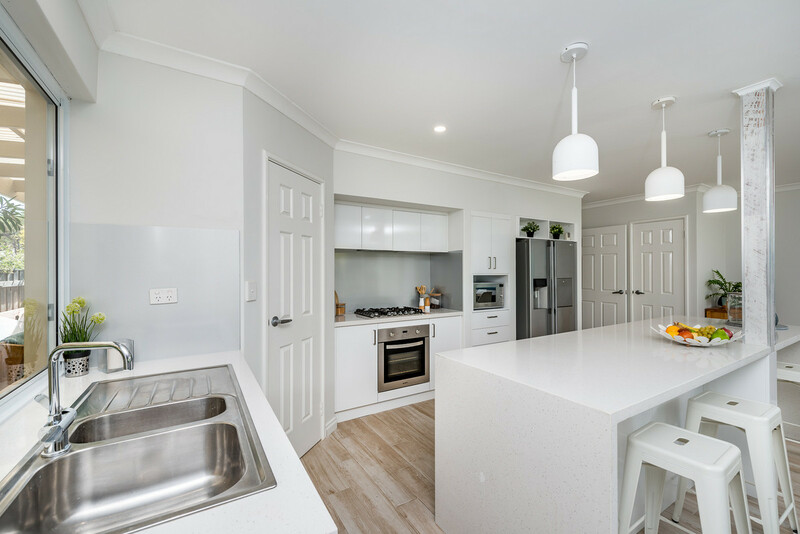 – Stunning renovated kitchen with lots of built in storage, heaps of Essastone benchspace, LED down lights, stainless steel appliances, tap connection for the fridge and dishwasher. 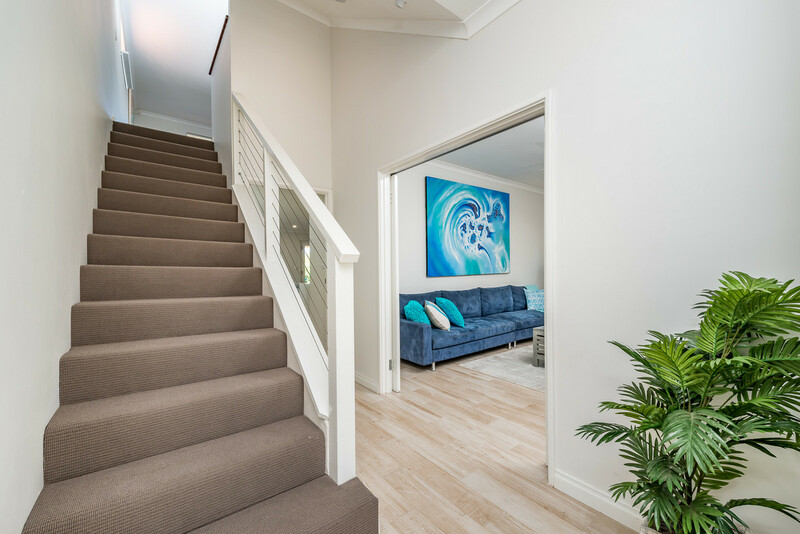 – Super cool walk in under stair storage that would be a great cellar! 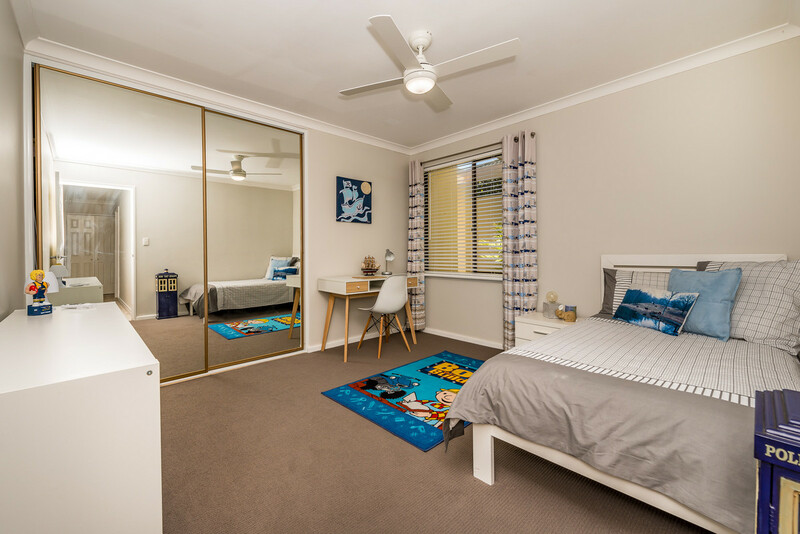 – The large Master bedroom has a big walk in robe (there’s opportunity to have a gigantic walk in robe with a very easy and cost effective alteration). 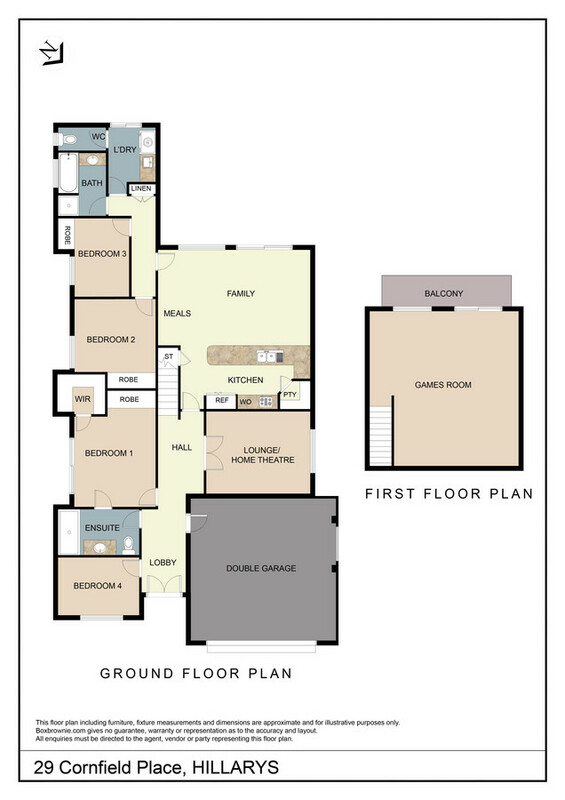 – BIG double garage (7m x 6.4m) with room for storage in front and at the side of both vehicles. 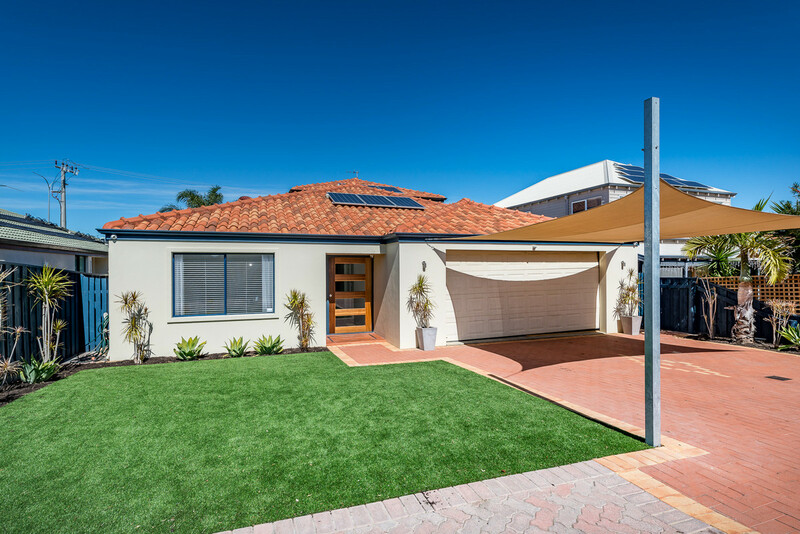 – Super low maintenance front garden with water hardy plants and artificial grass (posts are in place for a shade sail to be added above the grass). 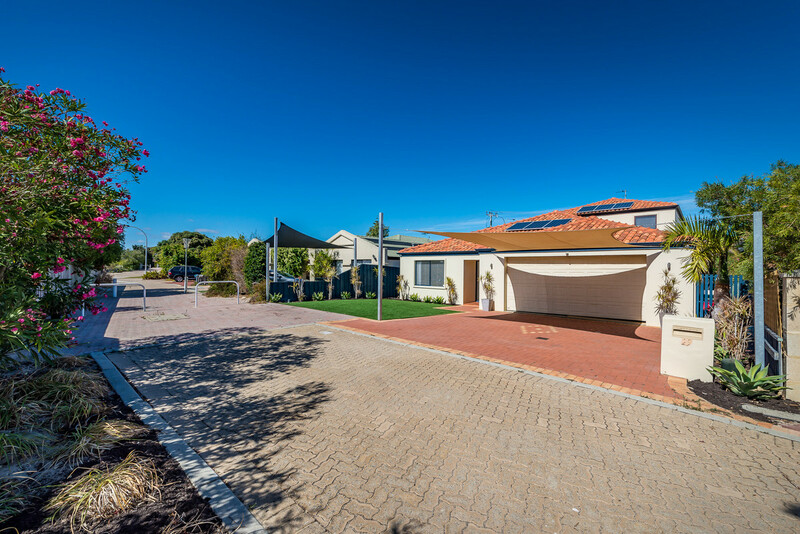 – Parking galore with a shade sail covered drive plus sole use parking of the “private driveway”. 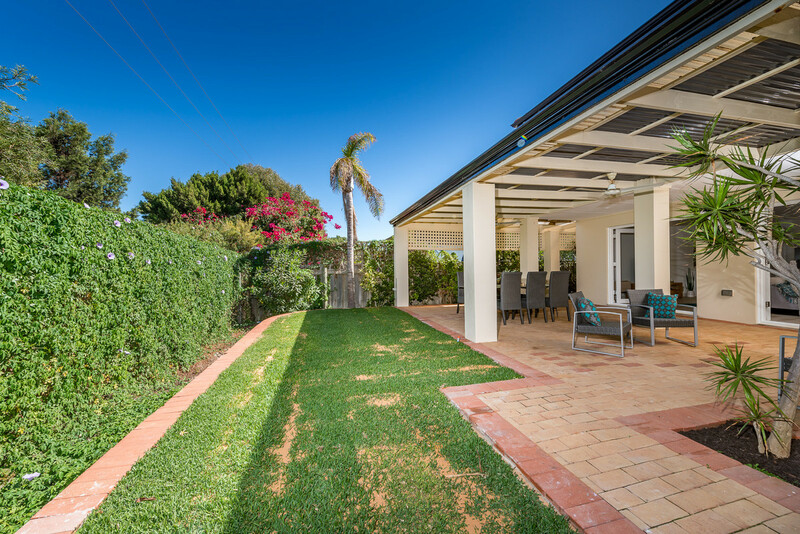 – Low maintenance rear garden is paved and reticulated soft leaf buffalo lawn. 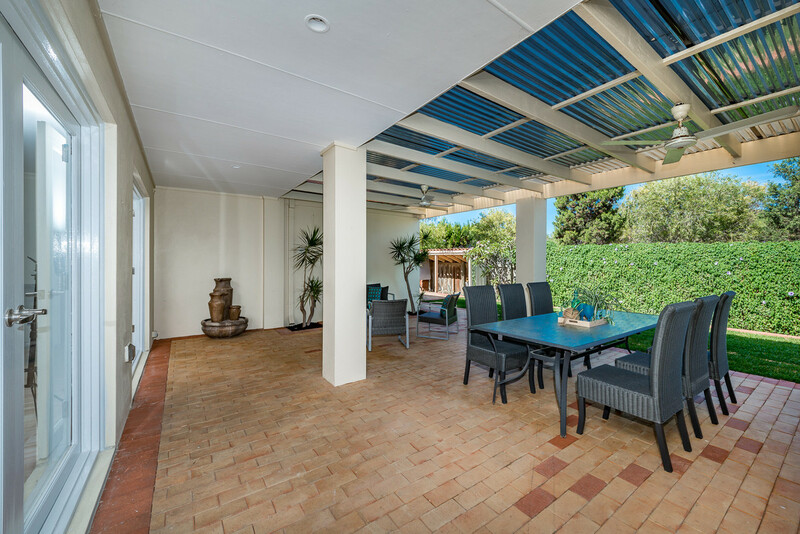 – HUGE alfresco patio entertaining area with room for the biggest parties or shady place for the kids to play. 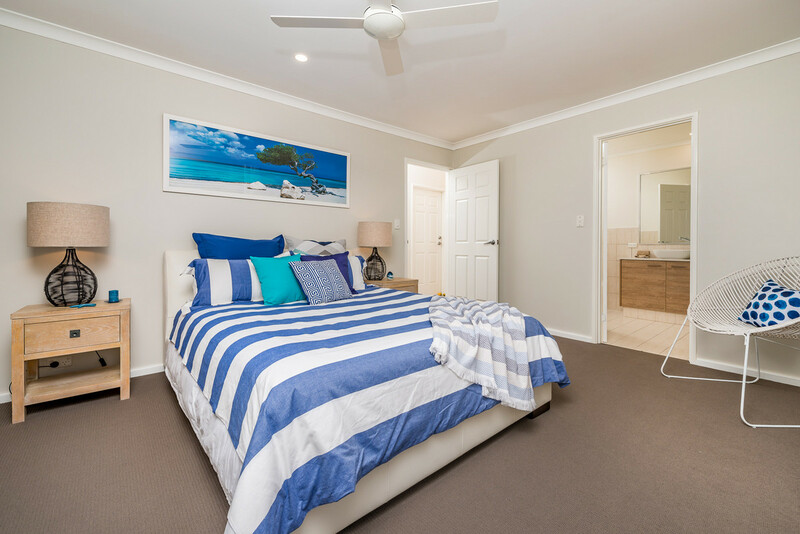 – Air conditioner …… not that you need it being this close to the beach being first to feel the refreshing sea breeze. 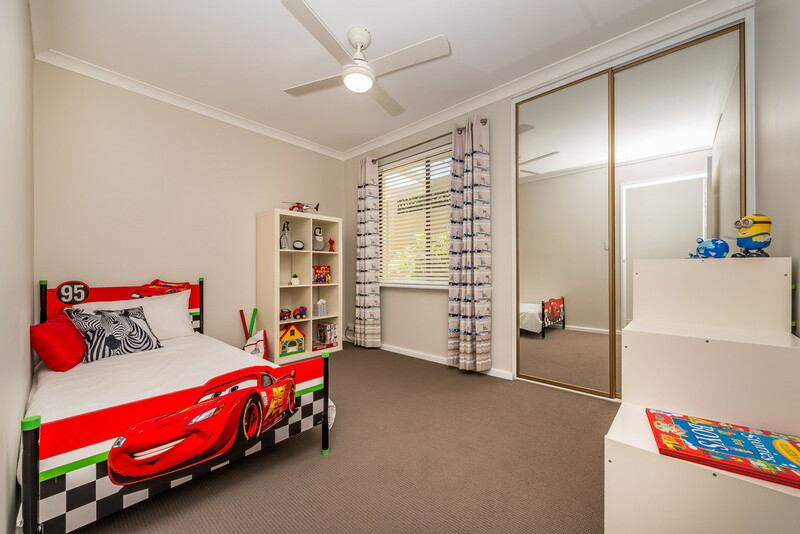 Excellent local kindergarten, primary and high schools which is one of the reasons the family moved into the area. 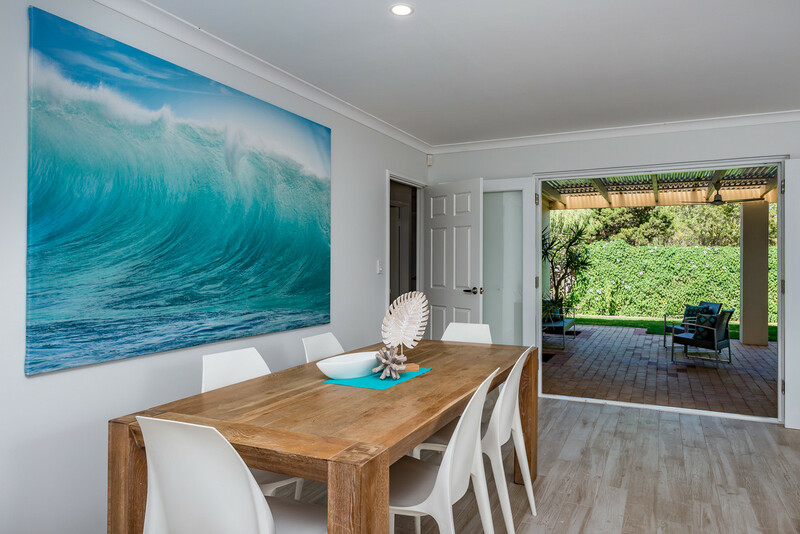 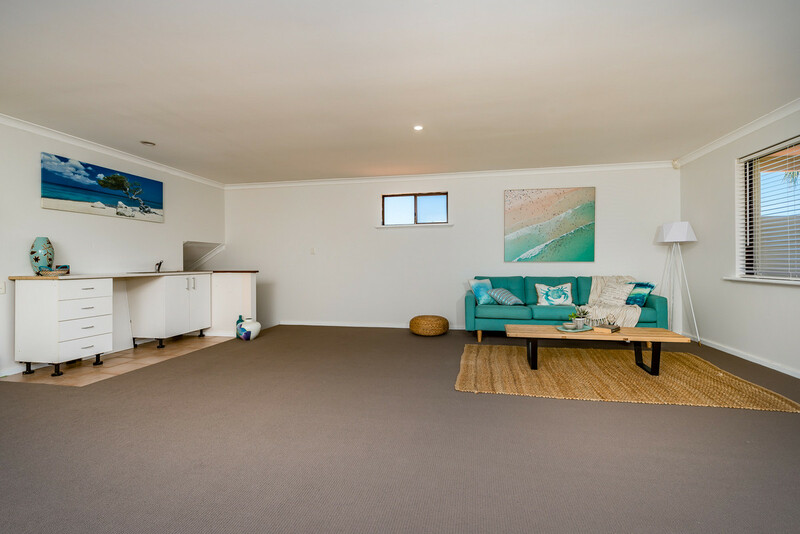 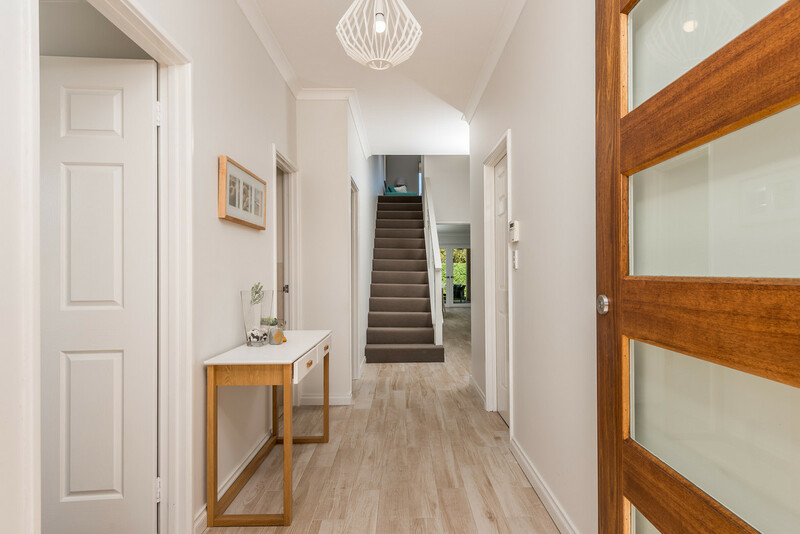 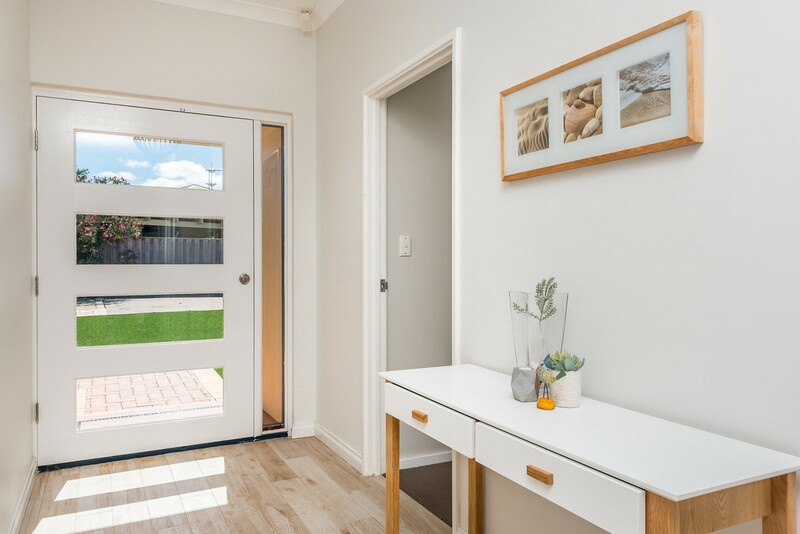 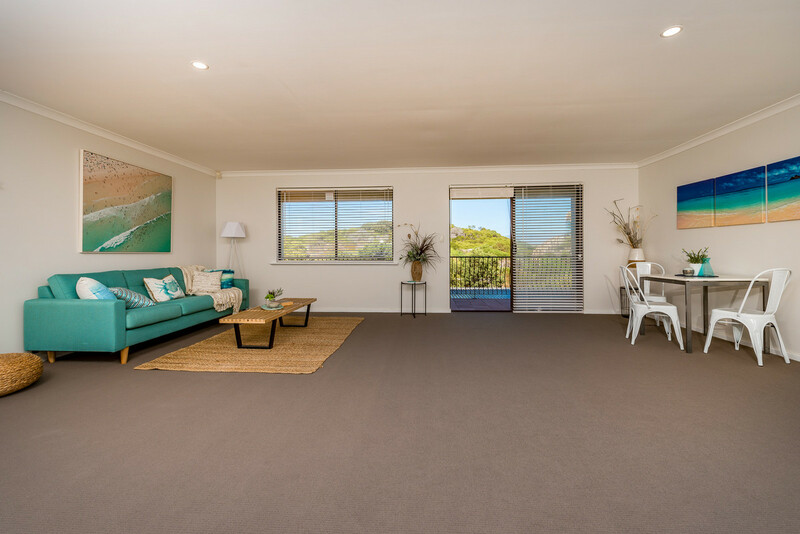 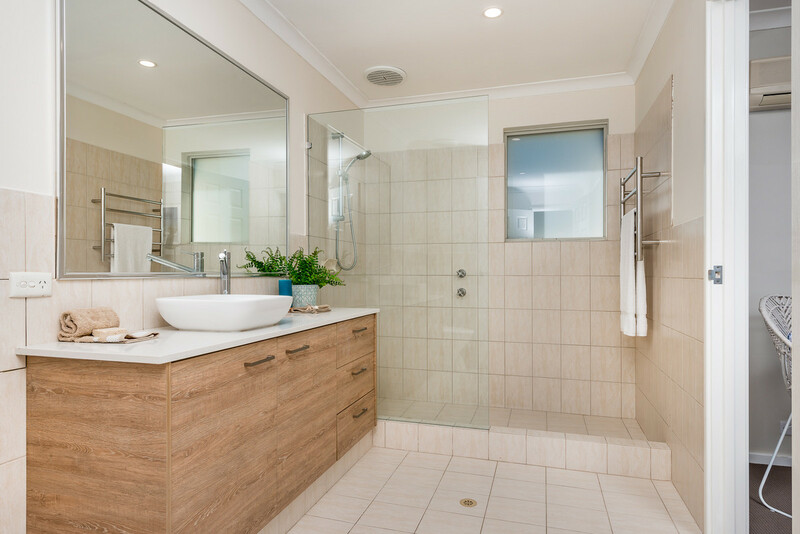 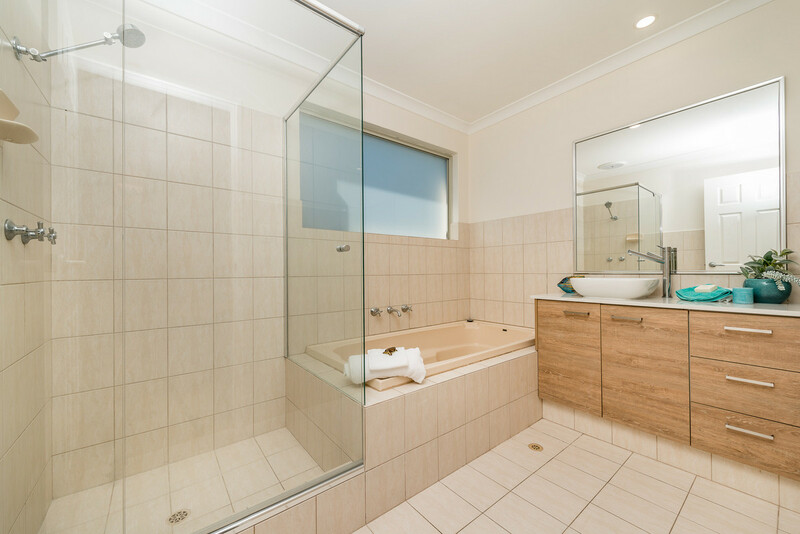 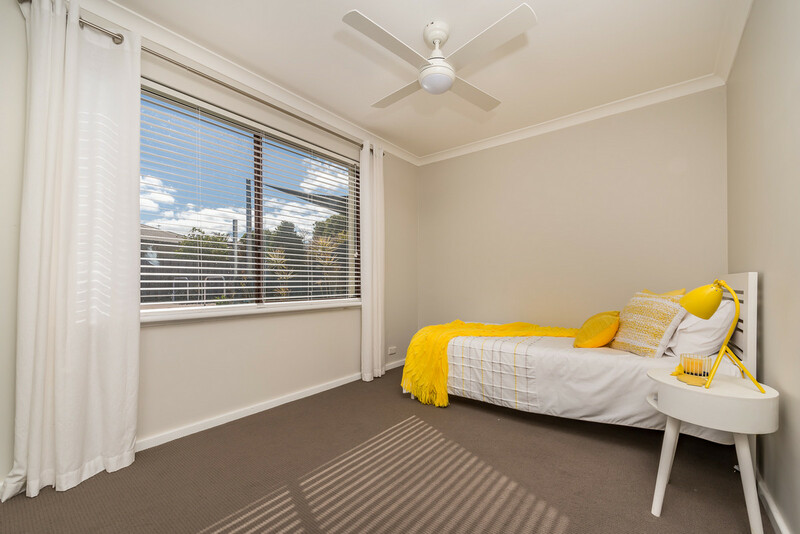 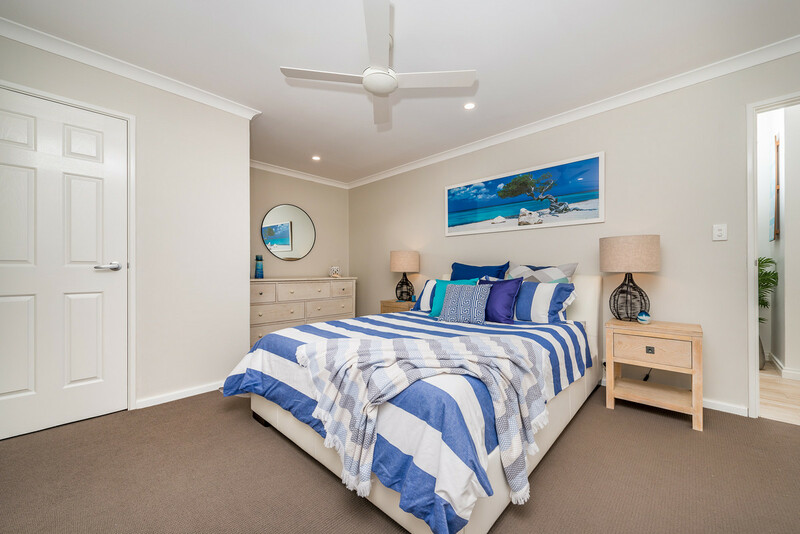 For more information or to book a private inspection, call Simon on 0497 333 000 today.